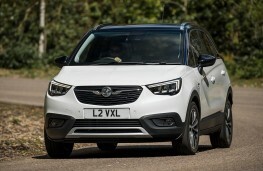 WHAT do you look for when buying a family car? Price is certainly an issue but the safety of those precious little darlings you may be carrying on board will, if not at the very top of the list, will be close to it. 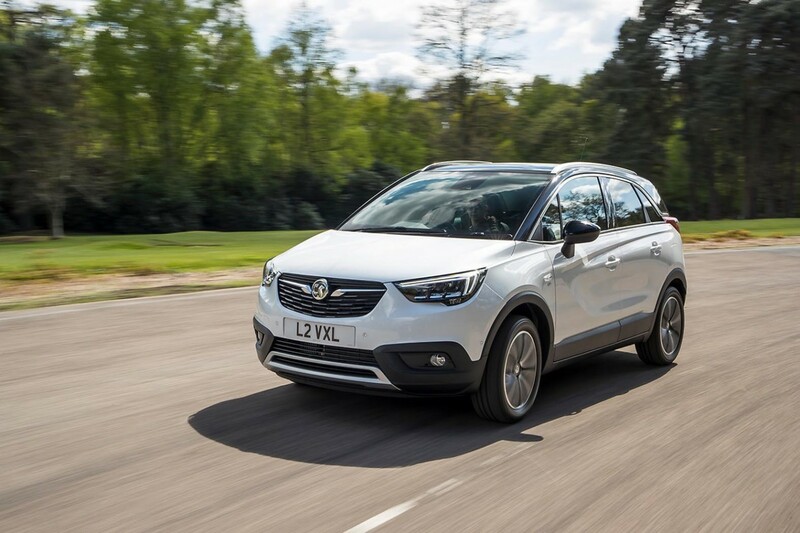 The good thing about Vauxhall's new Crossland X is that it was awarded the maximum five-star safety rating from Euro NCAP. 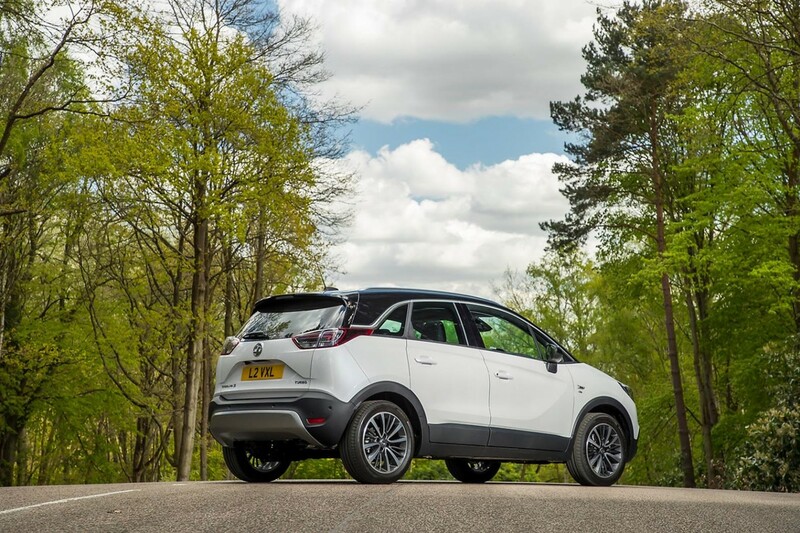 If you're not certain what that means, the Euro NCAP assessment considers a vehicle's performance in four safety areas - adult and child occupant protection, pedestrian protection and safety assist. 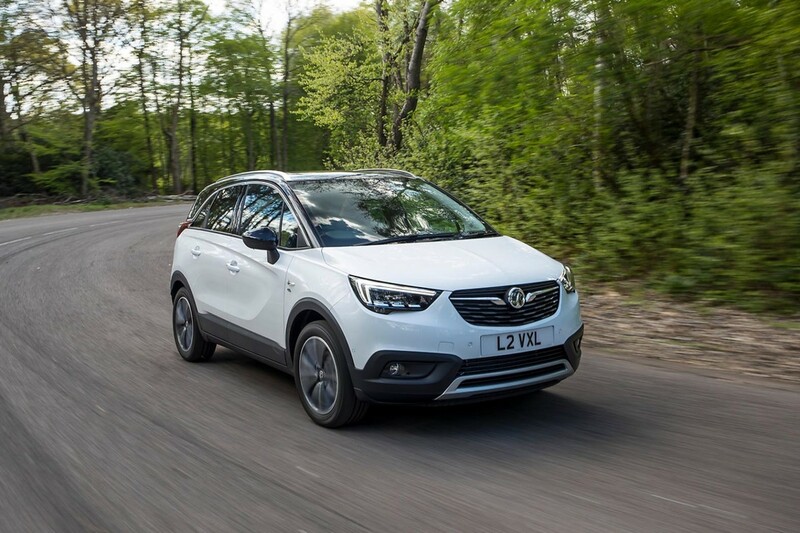 The Crossland X scored highly across all areas - including maximum points for adult and child occupant protection in the side barrier tests - due in part to the model's high level of safety equipment provided as standard. This includes a front camera system offering traffic sign recognition and lane departure warning, full LED headlights, six airbags, a 180-degree panoramic rear-view camera, forward collision alert with pedestrian detection and autonomous emergency braking, and side blind spot alert. 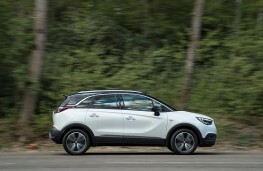 The Crossland X is the result of a collaboration with PSA, the owner of Citroen and Peugeot. 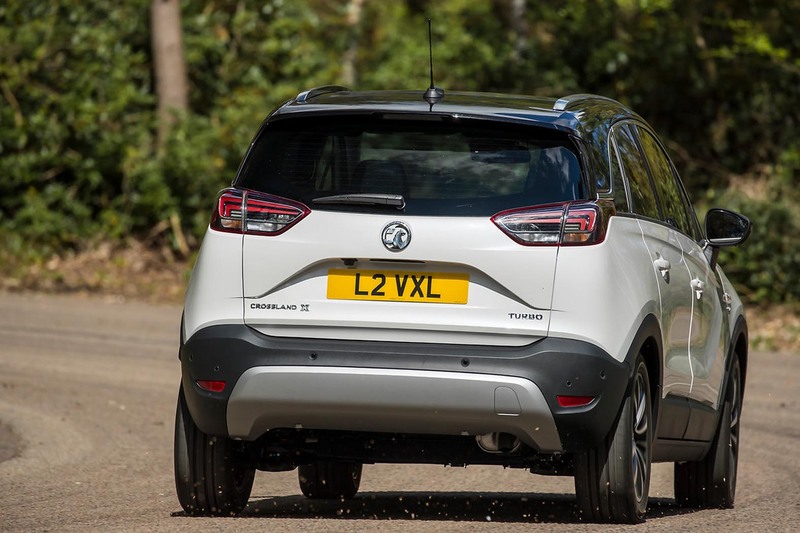 Crisp and compact on the outside, spacious and flexible on the inside, it's also Vauxhall's first urban crossover. 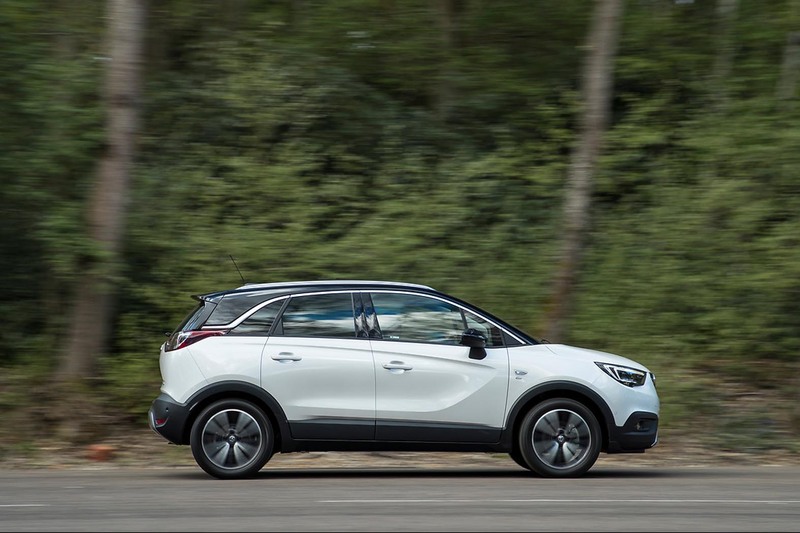 While its sibling, the Mokka X is a more ‘traditional' SUV, offering all-wheel drive capability, more height and larger wheels, the Crossland X has a firm family focus, with a spacious cabin providing high degrees of practicality and flexibility. All models are front-wheel drive, which means there isn't a driveshaft to the rear that takes up valuable interior space. 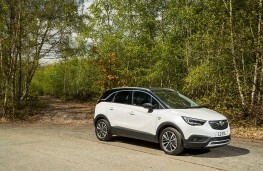 It also has smaller wheels than the usual SUVs, which also help to improve space, ride comfort and fuel efficiency. 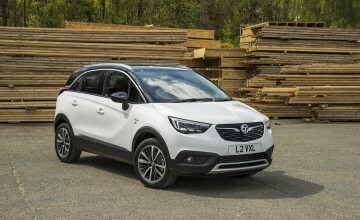 The Crossland X is actually more compact than the Mokka X, and a full 16cm shorter than the Astra Hatch, so is even easier to drive and manoeuvre in towns and cities. An elevated seating position gives the driver good all-round visibility. It doesn't exactly breathe excitement but it does a good job around urban areas because its light steering makes it easy to nip in and out of lanes and helps with parking. The Crossland X range includes SE, SE Nav, Techline Nav, Elite and Elite Nav models trims and all are well equipped from the entry-level up. However, the car is more functional than exceptionally appealing. 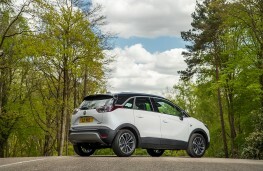 You get two cupholders, an open tray and a cubby hole with sliding cover between the front seats, but the glovebox is small because of the Crossland's left-hand drive origins. That said, there are some appealing chrome accents around the cluster and air vents, while the centrepiece of the interior and its logically laid out dashboard is the bright and easy-to-use eight-inch colour touchscreen. 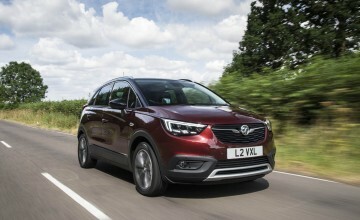 Vauxhall OnStar - as well as IntelliLink infotainment systems, compatible with Apple CarPlay and Android Auto - keeps drivers connected in a convenient way via touchscreen and thanks to the 4G/LTE wi-fi hotspot, to which they can connect up to seven mobile devices. 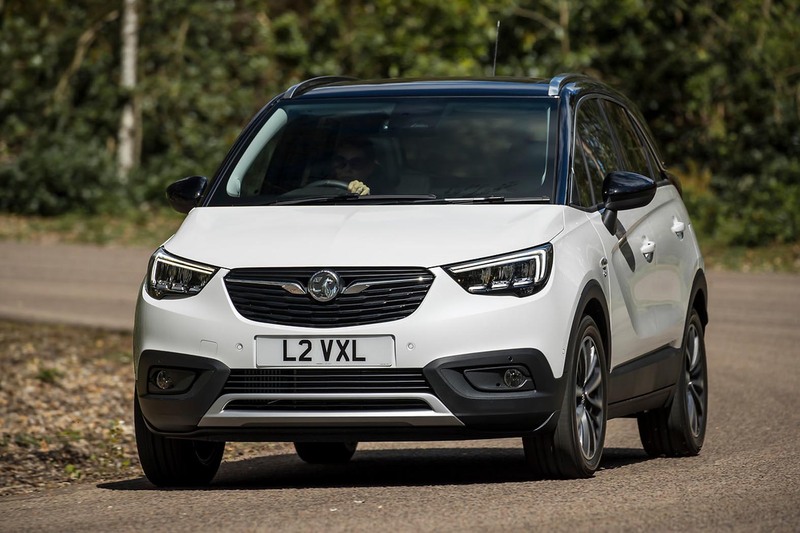 Though the driver's seat seemed a little narrow to me, most will find it easy enough to get comfortable, because there's a good range of seat and steering wheel adjustment. There's plenty of head and legroom in the front too. While two adults can sit quite comfortably in the back, three will find themselves a little cramped. It's really only a five-seater family car. That said, on several models, including the Elite Nav, sliding rear seats are fitted, able to move forwards or backwards up to 150mm, providing extra leg room to the rear passengers for added comfort. 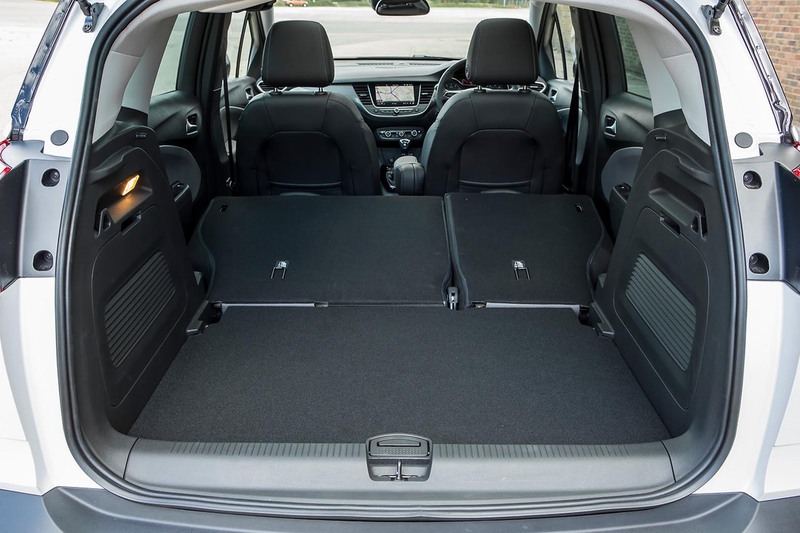 With the 60/40 split rear seats up, there's a class-leading 410 litres of luggage space, which can be increased to 520 litres with the seats moved forward. When they are folded down completely, luggage capacity increases to an impressive 1,255 litres. 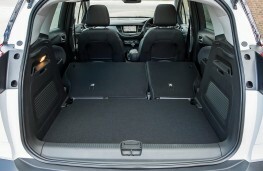 A height-adjustable boot floor is fitted to all versions from Tech Line Nav and makes loading and unloading easier while providing a separate storage area under the boot floor. 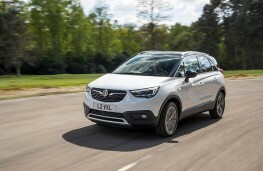 The Crossland X comes with a good range of petrol and diesel engines, of which PSA's 1.5-litre, 101bhp turbodiesel is the newest. On its first trip up the local dual carriageway it was soon returning over 50mpg and, to be fair, over regular commuting it still returned almost 48mpg, which is not to be sniffed at. However, despite a useful amount of low-down pull, it felt slightly underpowered. On an A-road cruise, the diesel did settle down into a gentle thrum but, unfortunately, this was all but drowned out by too much wind and road noise. More work to be done in that department. 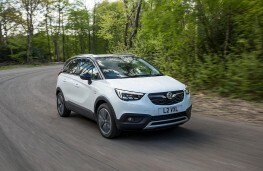 To really compete in an increasingly popular sector, Vauxhall also needs to improve the Crossland X's ride and handling. It turns into a corner nicely and there's a decent amount of grip but, try and move too quickly and it begins to buck on bumpier surfaces. There's also a fair bit of body roll so unless you're a budding Jimmy McRae, you're not going to want to throw it too harshly around the bends. The manual gearbox shift can also be a little vague.